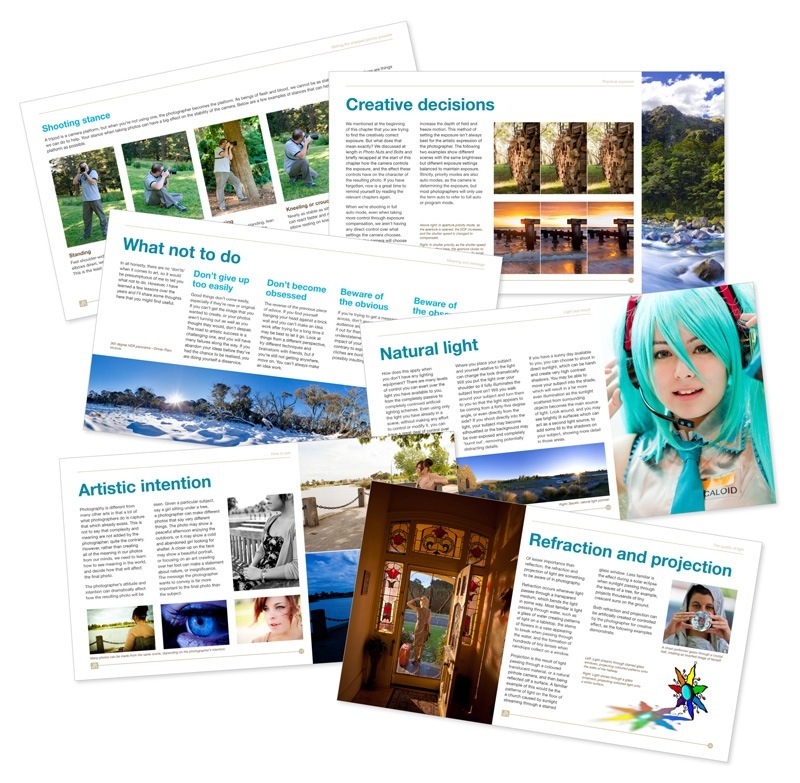 You are here: Home / Photography / Is “Photo Nuts and Shots” Right For You? 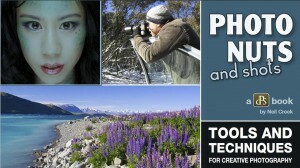 If you’re on any photography connected list, you’ve probably heard (there’s been a lot of sales emails from the usual suspects) that Darren Rowse has just put out another ebook under the Digital Photography School banner, and it may be of interest to you (or it may not, read on to find out or bail now to save yourself a minute or two). 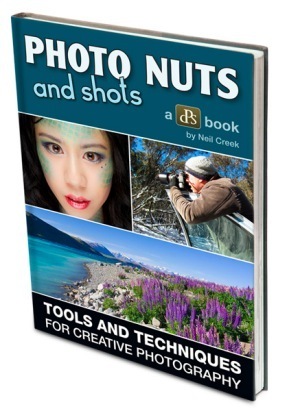 Called "Photo Nuts and Shots", this one is a follow-up to a previous book "Photo Nuts and Bolts", which was put together by DPS staff writer Neil Creek based on his blog posts. It’s the first book by Neil with entirely new contents and he’s written and photographed it himself. 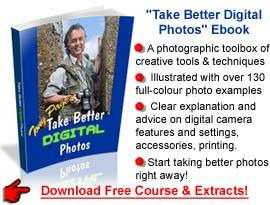 Photo Nuts and Shots (yep, that’s an affiliate link, I get about US$6 if you buy the book, but I suggest you read my review first to find out whether you should). 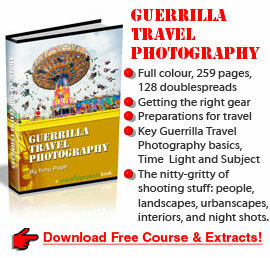 To start with let me declare an interest, Darren helped me market my own Guerrilla Travel Photography book last year, and he’s one of the most reputable personalities on the internet: this alone is enough to make many people buy anything he produces on trust if they’re in any way interested in the subject matter. Apparently he’s sold 3777 of "Photo Nuts and Shots" in the first week and that’s basically sight unseen, so there’s no doubt this one will be as successful as those DPS books he’s marketed in the past. It’s certainly a bargain price at US$14.95 during the initial launch period (which ends in a week’s time or so, around February 11). And you’ll get a one in gazillion chance of winning a new Sony DSLR along with your purchase. But the real question is whether it’s right for you – are you going to get anything out of it, is it worth you spending both your time and money on it? Well, my answer to that is, it depends. If you’re a dead tree person (admission: I often am) and want to print it out, probably not, because it’s in a 16:9 widescreen format and doesn’t fit either A4 or letter size paper very well. Looks fine on screen though. Neil’s strength is clearly in his landscape photography, and he has some excellent examples of his work. His book is really a personal statement of his own approach to photography, which he decided to take up professionally a year ago. He intends it to be read along with the previous "Bolts" book, and in conjunction with his upcoming "Post" book which is to deal with processing your images after shooting. 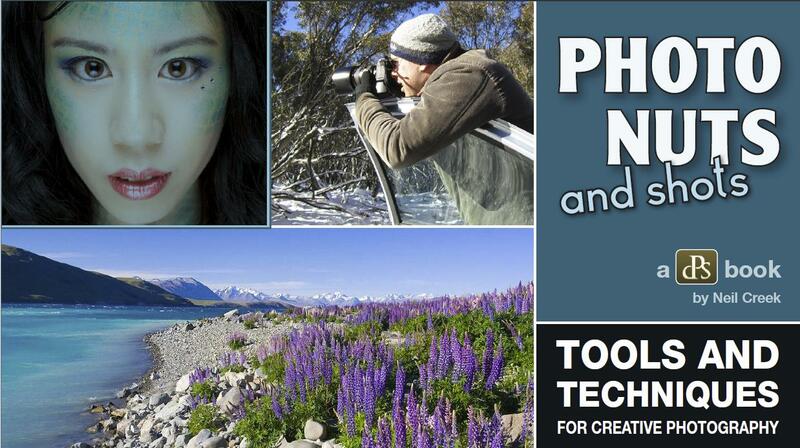 It’s designed to be a "comprehensive guide to improving your photography through technique and attitude", quite an ambitious rap! My answer: if you’re in its presumed target market, yes, but with reservations. If it’s right for you, no doubt on this score, definitely yes. Here’s a shot of the contents page. As you can see, Neil pretty much covers the ground you’d expect in a general photography guide, with topics on light, composition, exposure, and some general thoughts on his personal approach. Although there’s an early couple of spreads on the histogram and clipping which might put a few technophobes off, they shouldn’t worry because the book as a whole steers clear of heavy duty technicalities, concentrating more on general principles and description. It’s 111 generous pages including the intro and ad at the end, but although there’s plenty of type the wide scope of Neil’s subject matter means he can’t go into great detail on any particular topic. He does provide links to other sources, though, which are helpful. As I said earlier, there’s a LOT of text in this ebook, and even though it’s laid out in columns the often one word titles and lack of sub-heads can make it a bit hard going at times. It does tend to read a little like a textbook, going from general statements and explanations to more specific recommendations, and sometimes there’s too much stating of the obvious, e.g. "Not all tripods are equally stable. Cheaper, lighter tripods will also be less stable. Heavier, more solidly built tripods are generally more stable..". But there’s plenty of good, worthwhile information there, even if the style is a bit ponderous. How about the photos? Some excellent material here, especially in what is obviously Neil’s first love, landscapes; you can really feel his affection for his subject matter. He should definitely consider doing a landscape book, with an emphasis on the images rather than the text. I didn’t feel that some of the other shots used to illustrate points were as successful as they might have been, and some were simply too small. I particularly liked the dramatic black and white "film noir" shot on page 102, but on the whole the model shots were the weakest part of the book. But then, you wouldn’t be buying this book for its pictures alone, more for the information value. If you’re an expert enthusiast, or you’ve already read a lot of photography books, you probably don’t need this unless you like collecting. If you’re a relative beginner, you’ll definitely find a mine of useful and worthwhile information in this book, although don’t expect a lively read. 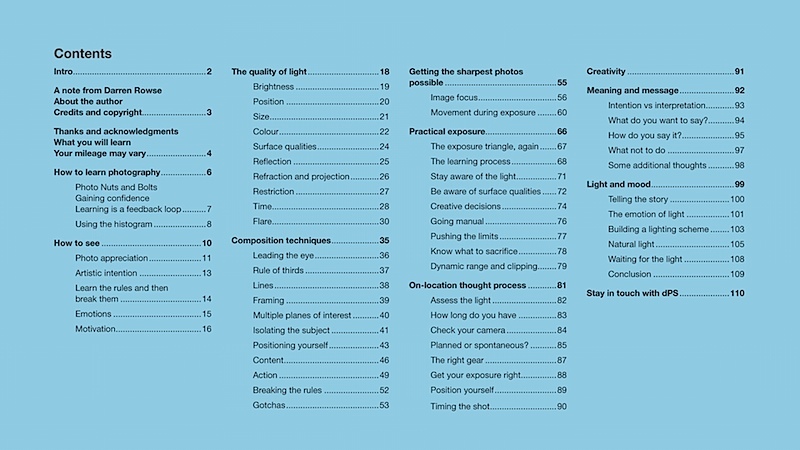 Is this (to quote the sales page) “the best creative photography guide on the market”? Well, to be honest this is clearly not the case. But at the low price and with the wide-ranging scope of the topics covered it has to be a great buy as an introductory text.